Biscotti Bari...Authentic Almond Biscotti, handmade, Italian style, small batch authentic almond biscotti, crafted with care the same way it is still done in Bari, Italy. Using only the finest locally sourced, all-natural ingredients...authentic almond biscotti are full of sweet, toasted almonds, truly an instant classic. 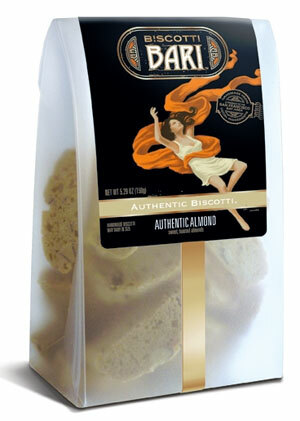 Biscotti Bari Authentic almond biscotti...truly a treat beyond compare!!! Authentic Almond Biscotti / Biscotti Bari.